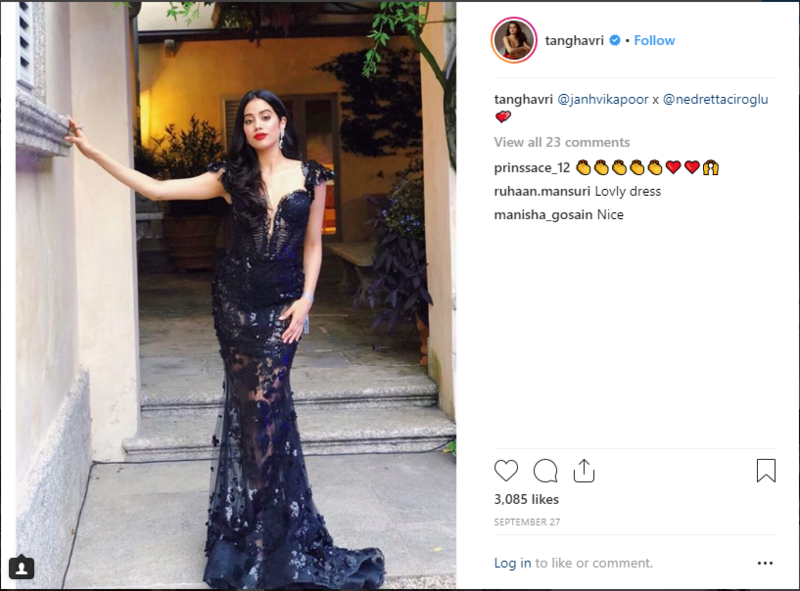 Legendary actress Sridevi and producer Boney Kapoor’s daughter, Janhvi Kapoor is making a mark of her own. Ever since her first release, the young debutante is turning heads with her unique fashion sensibility and chic style statement. 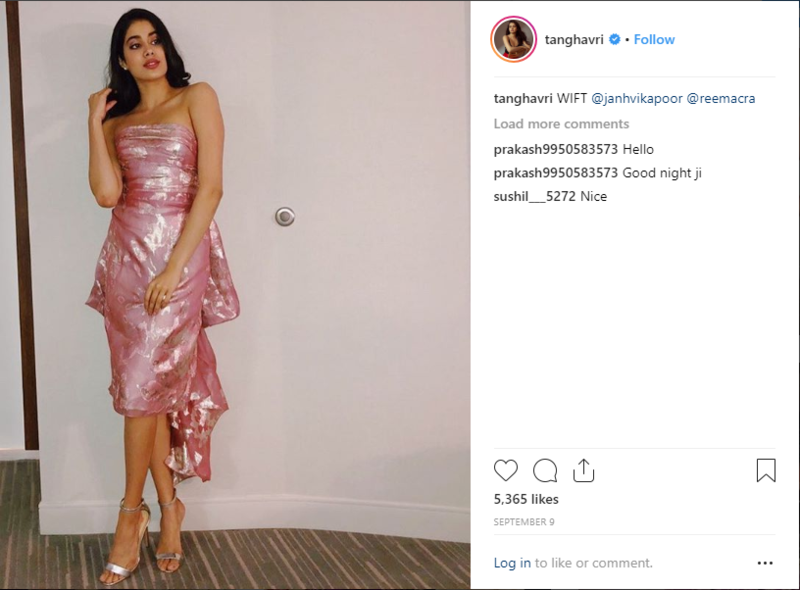 Irrespective of which look she sports, Janhvi likes to keep it simple with minimal accessories. 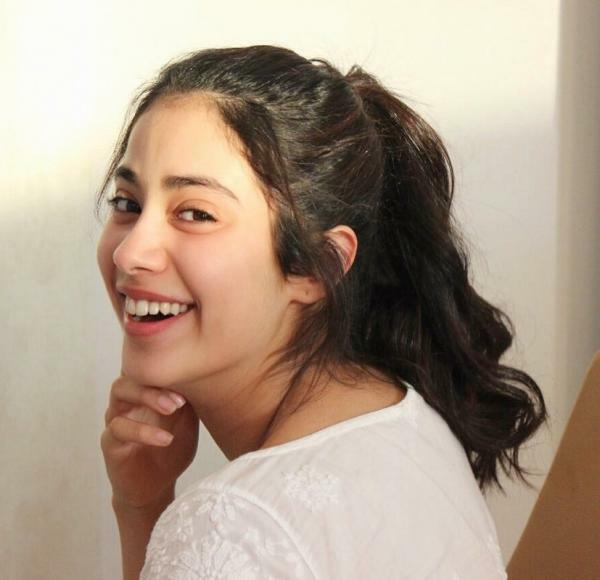 Her preferences show youthfulness and every ensemble reflects her persona. 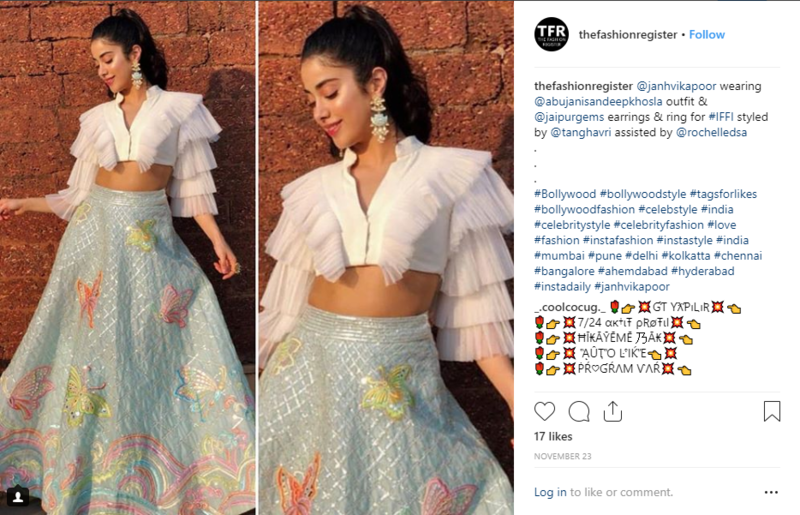 From Indian ethnic to evening gowns, gym wear to couture, or simple prints to elaborate embellishments, Janhvi Kapoor is making a wave in the world of fashion and remains every photographer’s delight. 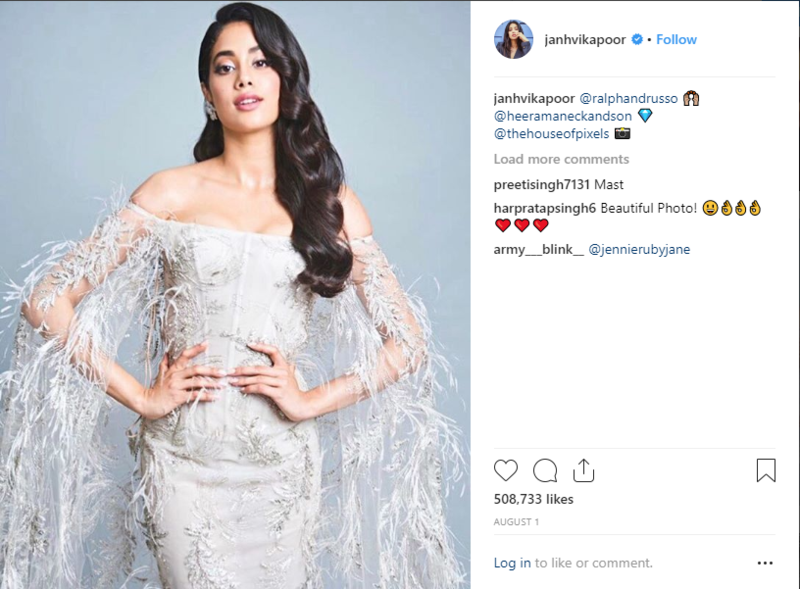 The debutante owned the red carpet at the Vogue Beauty Awards 2018 in the feathered Ralph and Russo gown. 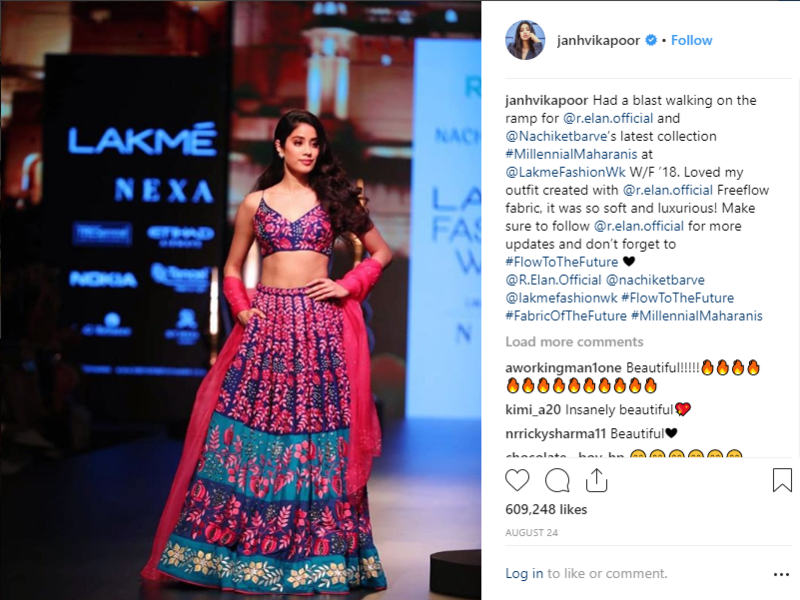 Walking the ramp in a Nachiket Barve creation, she truly looked like the ‘Millennial Maharani’. Playful and bright, this Abu Jani & Sandeep Khosla creation adds cheery vibes. 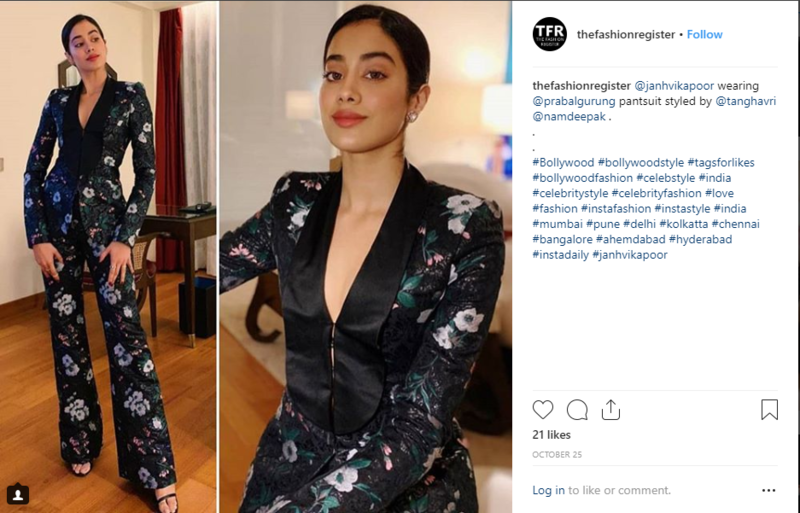 Janhvi is absolutely chic and classy in this black, floral pantsuit by Prabal Gurung. 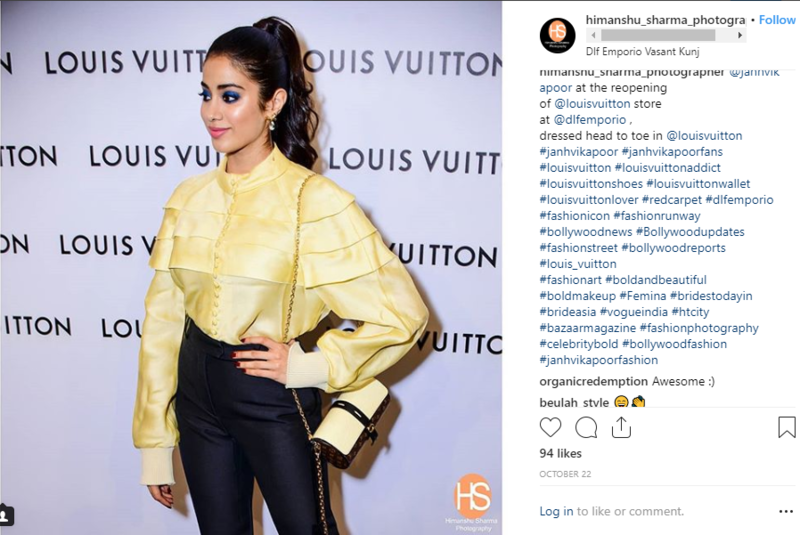 The actress dons the 80s look in a high waist pants and ruffled blouse, complemented with blue smoky eyes at a Louis Vuitton event. 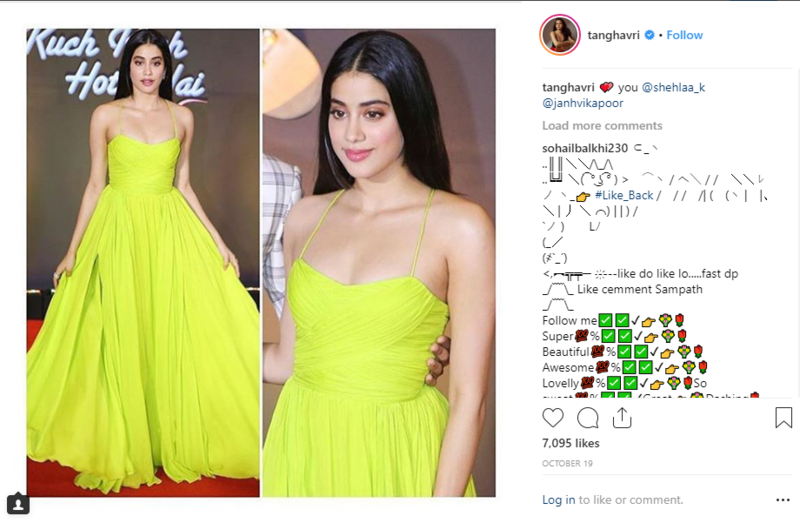 At the reunion of Kuch Kuch Hota Hai, Janhvi looked as bright as day in a lime green maxi dress, with simple makeup and no accessories. And also look dramatic in a sheer, black gown with floral embellishments. Soft and subtle, this pink Reem Acra number complements her elegance. And her latest look at the Lux Golden Rose Awards, is like a dream, in the white bridal-style gown by Reem Acra.